Welcome to the Store, where the quality of our merchandise is only exceeded by that of our SSL encryption. Fans not yet ready to abandon hard copy can create an ownable, durable, hardcover and paperback Doonesbury library. Each volume includes a colorful cover, amusing copy and provocative quotes. View All Books! 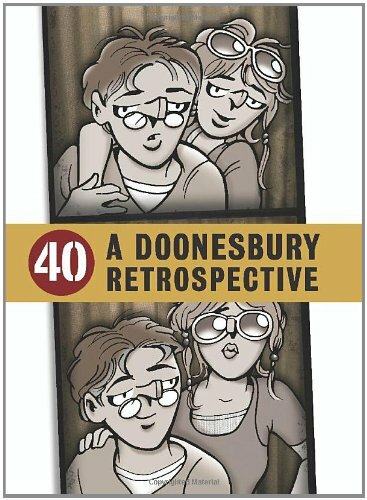 Buy your favorite Doonesbury strip, framed or unframed. Available in two sizes - daily and Sunday. Get a Print!